Aches and pains while traveling can put a damper on even the best vacation. Your arms and shoulders can feel sore from lugging heavy suitcases through the airport, while uncomfortable airplane seats can do a number on your back. And once you arrive at your destination, hours of sightseeing can take a toll on your hips, legs, knees, and feet. Dr. Redcross says Boiron’s Arnicare line of topicals, pellets, and tablets should always be a part of your travel kit, whether traveling for business or pleasure. 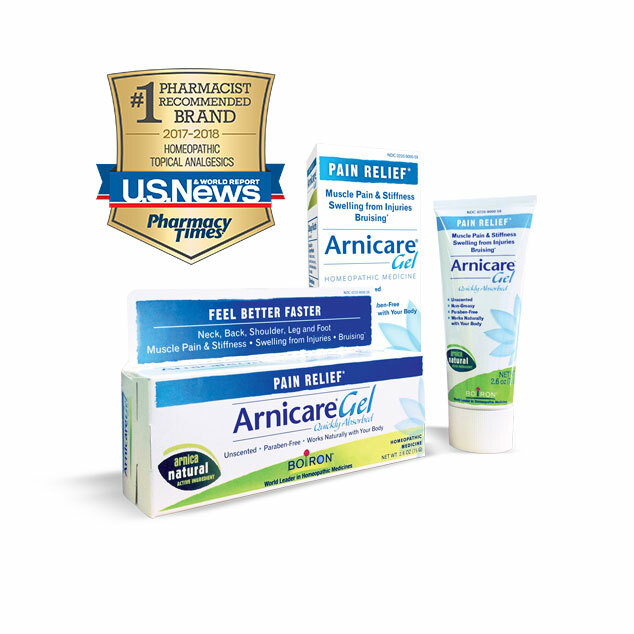 Arnicare can provide relief for muscle pain, stiffness, swelling from injuries, and discoloration from bruising. The topicals are unscented so no medicinal odor is noticeable when travelling in close quarters. And the tablets and pellets are travel friendly as they dissolve quickly in the mouth. No water is required! Which Arnicare product is best for your own travels? 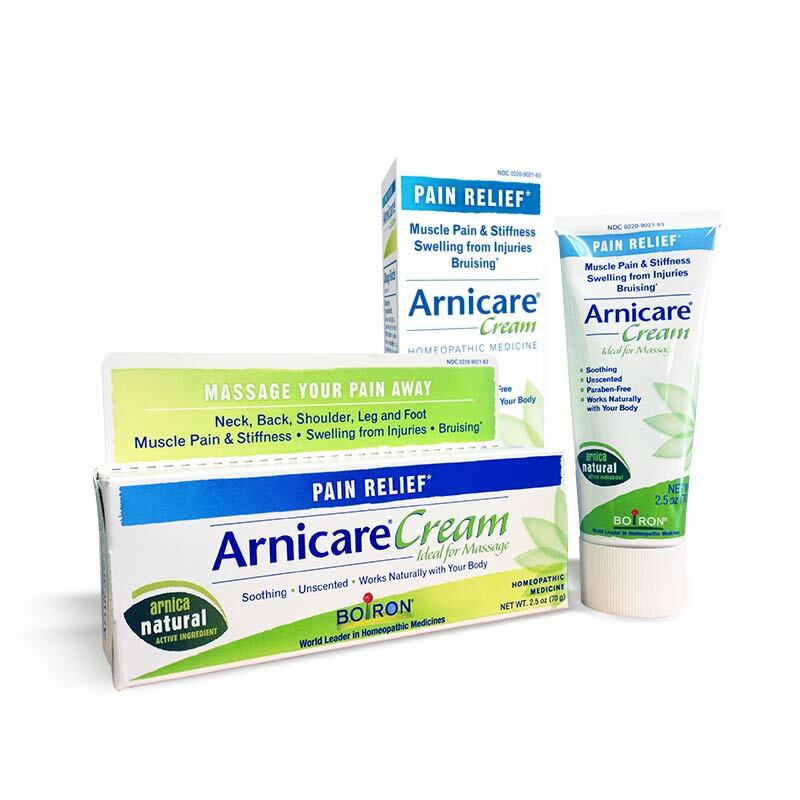 Arnicare Cream’s formula is ideal for massaging into painful backs and stiff limbs after lifting and toting hefty luggage and bags. Arnicare Gel’s non-greasy, non-sticky formula is absorbed the quickest of the Arnicare line and offers relief for tired feet. 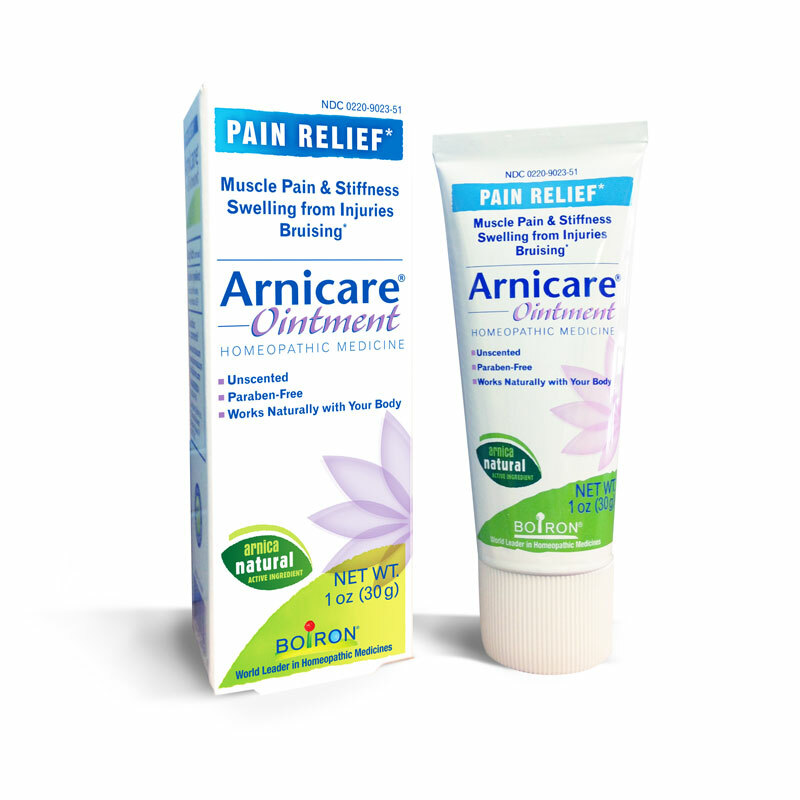 Use Arnicare Ointment when neck, back, and shoulder pain flares from lugging heavy bags all over the airport. Arnica oral pellets and tablets provide general pain relief throughout the body, no matter what leisure activity you enjoy, and can be used safely in conjunction with the topicals to combine internal and external action.